Whether you lost your car keys or need ignition repaired or locked out of your car? You can count on us to help you. I.D Locksmith Services 24/7 1# Rated locksmith company available 24 hours 7 days a week for any auto locksmith services. Our expert locksmith technicians professional, trained & experienced in using the best equipment for unlocking a vehicle to make a replacements car key or Ignition repair. If you are having trouble getting inside your car or need a new set of keys, call us today! Your home is important to you, therefore, need to be always secured and protected. Nothing is more important then secured your family and your belongings. I.D Locksmith Services 24/7 offer only the top quality and reliable security locks equipment. Your home security is our number one priority. Whatever your door locks needs, you can trust on I.D Locksmith Services 24/7 to keep your family safe. If you having trouble with your lock and need to install a new door lock or need a lock rekey or just locked yourself out of your house, Call us Today! Running a business and want to have a peace of mind about the security of your business? It's hard enough to keep your business protected without having to worry about building security. Let professionals handle that for you. Our professional's team main goal is to keep your business protected by meeting your security needs and provide the best security solution for your business. 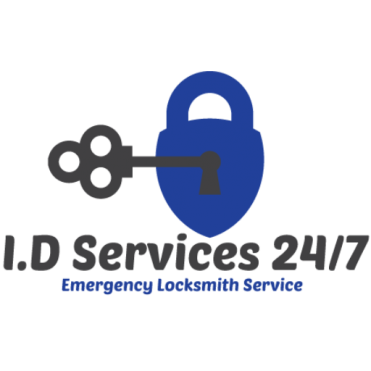 I.D Locksmith Services 24/7 is the right choice for you. If you Locked out, or needs higher security level of locks, Call us Today! *Please Note: The prices listed above are an average cost for the service. The final cost may vary from the initial estimate depends on the difference of each individual project. ***Cancellation fee may apply for the service. ***Weekend day may affect the initial estimate.